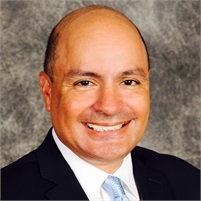 John DeSalva AIF® | Georgetown Financial Group, Inc.
John is the founder and president of Georgetown Financial Group, Inc. a full- service financial services firm with offices in Georgetown, CT and Pleasantville, NY. He is also a Regional Director, an Investment Adviser Representative, and a registered representative of Cetera Advisor NetworksLLC (member FINRA/SIPC). John is also a founding member of a leading national insurance marketing company, AIMCOR Group, LLC, and he currently serves on AIMCOR’s board of directors.\What was to become Georgetown Financial Group (GFG) was founded in 1991, and today GFG provides a single touch point to support and supervise over 100 financial advisors at Cetera Advisor Networks. Its advisors are actively engaged in financial planning, retirement planning, and wealth management. John is responsible for the strategic management of Georgetown Financial Group, and oversees its efforts to educate and train advisors, and to provide them with practice management coaching and succession planning guidance. John is an Honors graduate from the University of North Carolina at Chapel Hill, with a Bachelor of Science in Business Administration. He was a brokerage representative for The Paul Revere Insurance Group, a co-owner of an employee benefits insurance agency, and a member of the Health Care Reform Advisory Board to former CT Congressman Gary A. Franks. John is a former MDRT member, and was chairman of the life insurance, annuity, and long term care insurance Advisory Boards for The Travelers Insurance Company. He was chairman of the Travelers Life & Annuity Producer Council, and was a 2-time chairman of the Cetera Securities Advisory Board. John was the chairman of the MetLife Broker/Dealer Group’s Independent Advisory Board, and he also served on the GE Capital Assurance Long Term Care IBG Field Advisory Council. Today, John serves on the Cetera Advisor Networks RD Advisory Committee, and the Cetera ERISA Advisory Committee. John received the Quality of Life Award from Travelers Life & Annuity in 2000, and he received the Distinguished Partner Award from Cetera Securities in 2007.